Many local MIchigan restaurants give back to their communities by providing free meals on Thanksgiving. 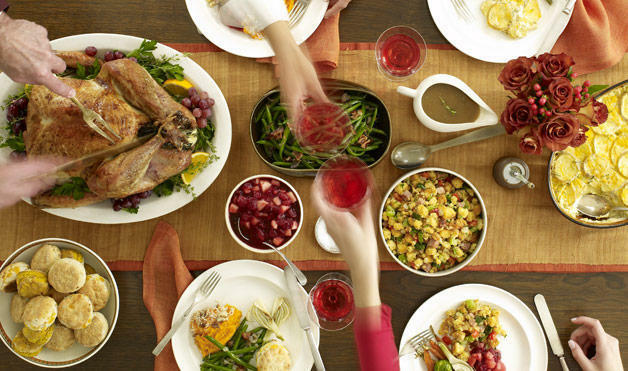 If you know of any other restaurants that provide free meals for Thanksgiving, let us know in the comment section below and we will add it to the map at the bottom of the post. George's Senate Coney Island in Northville made national headlines after a picture of their sign inviting lonely diners to a free Thanksgiving feast went viral on Reddit. Restaurant owner George Dimopoulos said he has been providing free meals to 70-100 patrons for the past 10 years, but after all the media attention he'll be preparing meals for 500 people this year. Dimopoulos left his home in Greece as a teenager and came to the United States in 1969. Before opening his own restaurant in 2003, Dimopoulos worked at other restaurants and noticed people who came in alone during the holidays. "I lose a little bit money, but I do this from my heart so I do not care," Dimopoulos said. Dimopoulos is one of many restaurant owners in Michigan who will provide a full Thanksgiving feast for free this holiday season. In Romulus, local high school students, fire fighters, city council members and even the mayor come to the Romulus House Restaurant the night before Thanksgiving to prepare a meal for the community and host a charity event. Samer Suleiman and Basem Alnimri, brothers and co-owners of the restaurant, have been providing free meals every Thanksgiving Eve for the past 12 years. Suleiman said this year, he plans to make enough food for 500 people and will serve from 4 p.m. to 8 p.m. on Wednesday. He hopes the meal and charity event will bring together different members of the Romulus community for a good cause. "This community has been good to us and we like to give back to that community," Suleiman said. "This community has been good to us and we like to give back to that community." In the west side of Michigan, Theo and Stacy's restaurant has been serving free meals in Kalamazoo since 1977. This year, the restaurants expects to serve around 2,500 patrons — 2,000 of whom will dine in the restaurant from 11 a.m. to 2 p.m. on Thanksgiving Day, and 500 to-go orders. Betty Peristeridis, daughter of restaurant founders Theo and Stacy, said the tradition started when her father noticed someone digging through their dumpster searching for food. He began providing these free meals each year ever since so that no one goes hungry through the holidays. "We do it and we do it with pride," Peristeridis said. "We do not take any donations. It is not about the money, it is about helping people and doing what’s right." The Original Cottage Inn in Ann Arbor has also provided free Thanksgiving meals for hundreds of patrons since 1983. Eric Hitchcock, general manager of the Cottage Inn location, said the original owner of the restaurant Nicholas Michos started the tradition, due in part to his generous personality. "We do not take any donations. It is not about the money, it is about helping people and doing what's right." "He was doing well himself, he was the type of person that takes care of other people, so he just decided he wanted to give back to the community in any way he can," Hitchcock said. Michos passed away last summer, and this Thanksgiving will mark the second year in a row he is not there to provide the meals himself. This year, Cottage Inn will prepare a meal for around 200-300 people. Hitchcock said he doesn't ask questions about who comes in for a meal — whether you are homeless, in need or simply in the area, you are welcome to dine for free. "I just think it’s good for people to realize that when you are in the position to be able to do this, you need to do it, just because it’s the right thing to do," Hitchcock said. 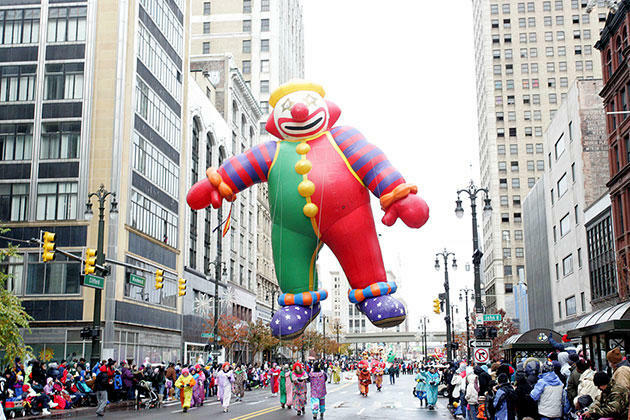 Things might be a little tighter than usual at Detroit’s annual Thanksgiving Day parade this year. The parade will take its usual route down Woodward Avenue. But there will be several “pinch points” due to ongoing construction for the M-1 rail project. City spokesman John Roach says that means parade-watching will be restricted in some areas. In recent weeks it has been impossible to go on Facebook without encountering many posts from groups trying to convince retailers to resist the urge to open on Thanksgiving Day. More retailers are doing just that. 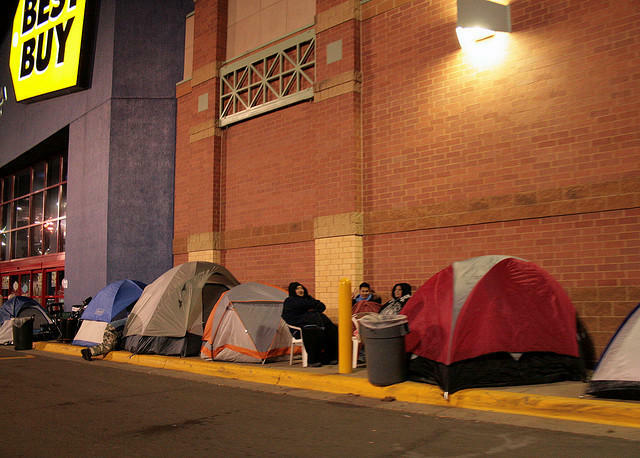 K-Mart, for instance, opens at 6 a.m. Thanksgiving Day and will remain open 42 straight hours. Among groups trying to push back against this growing trend is the group "Take Back Thanksgiving." Its founder Annie Zirkel joined us today. Listen to our conversation with Zirkel below. A new Michigan law will now allow you to literally BYOB, bring your own bottle of wine to a restaurant. Chris is the Chief Restaurant Critic and Wine Writer at Hour Magazine, and he joined us today.